Currently one of our most successful premier brands within the Dating Options group, Attractive Partners continues to uphold and further strengthen its enviable position as one of the UK’s leading high end personal introductions companies. As an elite, off-line personal introductions dating agency Attractive Partners attracts discerning and successful unattached individuals who are unlikely to find a partner of their own calibre through online dating. Attractive Partners clients appreciate the traditional values of a personal service alongside the security and privacy that this brand represents. They are generally from professional or business backgrounds, well-educated and financially secure. Clients range in age from around 30 to those that are enjoying active retirement years. The average age of clients within this brand is around forty nine and the membership is drawn from locations right across the UK. As a part of our dating service members are offered professional and independent relationships coaching and a pro-active headhunting service to search for the right partner beyond our extensive client base when necessary. Our matchmakers and head-hunters working with this brand are all highly experienced professionals. 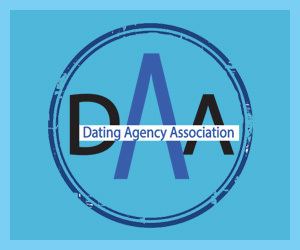 We are also working with some of the UK’s best known dating and relationships guru’s to support our higher membership level clients within this brand. We are rightly proud of the success rate achieved for our customers within Attractive Partners, with the majority of clients going on to enjoy a successful long term relationship through our dating service. Join Attractive Partners from just £1,695 for a 1 year membership. Our Senior Membership Adviser is Sarah James, who has worked in the dating industry for many years. Sarah honed her skills and knowledge during her career as Matchmaker, Senior Matchmaker and Matchmaking Team Leader. Our Senior Matchmaker’s are Sally Eades, Isabel Crocker and Jane Thompson. Joining Attractive Partners gives you a confidential and totally discreet approach to meeting potential partners. Attractive Partners gives you the chance to work with a Personal Matchmaker on a one on one. There is no online profile, so we provide total confidentiality. All members are interviewed, ID checked and thoroughly vetted. Our members are looking for an exclusive, committed and long term relationship. Our service comes with a guaranteed number of recommendations. All age groups are covered and our service covers the whole of the mainland UK. Headhunting is included on some membership options. Attractive Partners has stood the test of time and has become one of the best known and most respected names in personal introductions in the UK. We have access to a very large database of affluent, attractive clients. Most of whom appoint Attractive Partners as their preferred choice in searching for that perfect partner, due to the huge number of successes that we have enjoyed over the years and our organised committed and professional approach to finding someone truly special. After all this is probably the most critical decision that you will ever have to make – make it with the professionals at Attractive Partners Ltd.